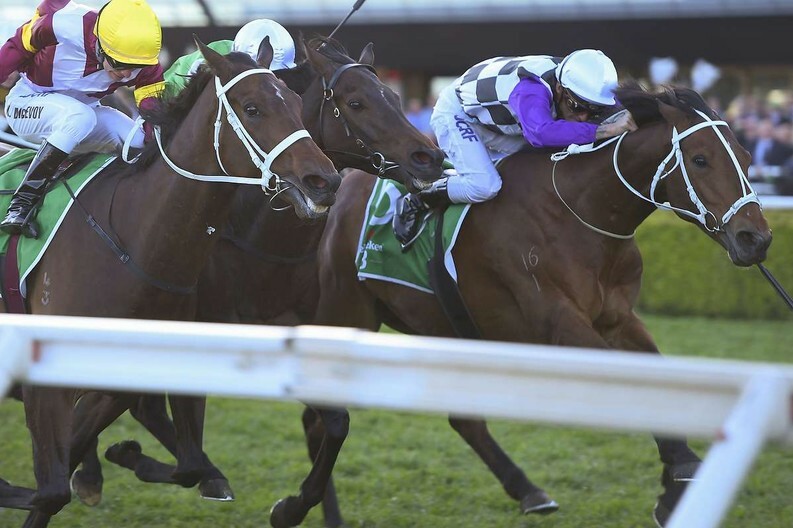 After being denied by centimetres in two Group One races on Epsom Handicap day, Sydney’s premier trainer Chris Waller has celebrated a big-race win with Patrick Erin (NZ) (Gallant Guru) in The Metropolitan. Leading home a one-two finish for the Waller stable in Saturday’s 2400m Group One handicap at Randwick, Patrick Erin chased down stablemate Brimham Rocks to land his first Australian win by a short half-head. Victorian-trained visitor Sikandarabad filled the minor placing, another long head away. Waller earlier had Fiesta finish a half-head second to Oohood in a blanket finish to the Group One Flight Stakes for fillies. Then D’Argento was denied by Godolphin stable stalwart Hartnell by the same margin in the $1 million Epsom Handicap with fellow Waller-trained runners Unforgotten and Shillelagh third and fourth respectively. “It feels a lot better now than it did 40 minutes ago,” Waller said. A fourth placegetter in this year’s Wellington Cup over 3200m, seven-year-old Patrick Erin is in his second preparation for Waller after being sent from New Zealand by the stayer’s owners. Ridden by Corey Brown, Patrick Erin went into The Metropolitan at his third run from a spell and Waller felt the stayer was still on the improve this campaign heading into the event. 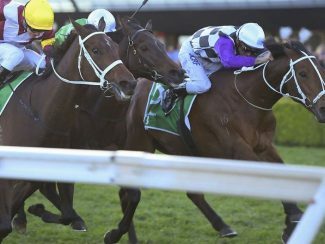 “I knew we had to get him up to a suitable distance and I wanted to make sure I still kept him fresh,” Waller said. Waller indicated he would now consider an even bigger staying target with the gelding who is nominated for the Caulfield and Melbourne Cups, although he only has 50kg in both races. He is eligible for a weight penalty for Saturday’s win. “We’ve got the St Leger here in two weeks and obviously you’ve got the Cups in Melbourne,” Waller said of spring options.